SERVPRO Carbondale-Marion Annual Golf Scramble! Are you ready?! It's time for SERVPRO of Carbondale-Marion's Annual Golf Scramble! Save the date for May 31st, 2019! We will be holding it at the Franklin County Country Club in West Frankfort, Illinois and will be providing a special catered lunch. We hope our valued clients are as excited for this event as we are! Our Marketer, Mikayla, has been traveling all over southern Illinois over the past month to invite our valued clients and introduce herself. We look forward to everyone's responses with their team information! We will providing refreshments and serving a great lunch prior to the prompt start at 12:00pm. Invitations have been handed out, we're awaiting responses! "It will never happen to me," we all are guilty of thinking it. Fire preparation is probably the farthest thing on your mind, but you may want to move it up on your list of priorities. The first 48 hours after the occurrence of a fire usually makes the difference between 'restoring' vs. 'replacing' your property and belongings. 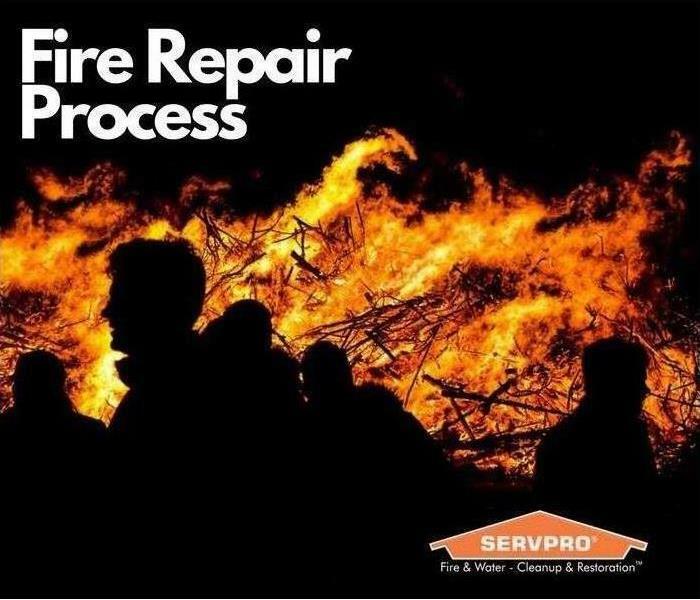 That is why SERVPRO of Carbondale-Marion provides a timely response with mitigation services ranging from fire, smoke and soot removal, to content claims inventory, and laundry. Within one hour of being notified of your loss, a SERVPRO of Carbondale-Marion professional will be contacting you to arrange a meeting time. Within four hours of notice, a SERVPRO of Carbondale-Marion Project Manager will be onsite to start the mitigation services. Within eight hours of on-site arrival, a verbal briefing will be communicated to the appropriate person going over the scope of work. SERVPRO of Carbondale-Marion will work efficiently to help you regain control of your property. We then use state-of-the-art restoration techniques to make it "Like it Never Even Happened"
After the work has been completed, a final walk-through will be conducted with your to make sure we have gained your seal of approval. SERVPRO of Carbondale-Marion will always strive to keep our promise of responding quickly. Before risking damage by attempting the difficult process of cleaning up the damage on your own, call the fire damage clean up and restoration professionals, call us at (618)998-8828. The first thing you must do after a disaster is take temporary protective measures such as placing roof tarps to prevent additional damage, and boarding up to secure the building and remove water and debris. Mold, smoke, fire, and water damage all have their own protocol for restoration and our experts know how to tackle each problem. Once your home or building is secured and the hazards are removed you can start the rebuilding process; from the structure itself to preserving and restoring the treasured items inside your home—including heirlooms, art, and family photos. The professionals at SERVPRO of Carbondale-Marion can simplify the restoration process by handling both the initial damage mitigation and rebuilding the affected areas. Having one qualified company for the entire process can save time and keeps costs low. SERVPRO of Carbondale-Marion can provide this continuity by supervising a full range of restoration services that will bring a building back to full functionality. 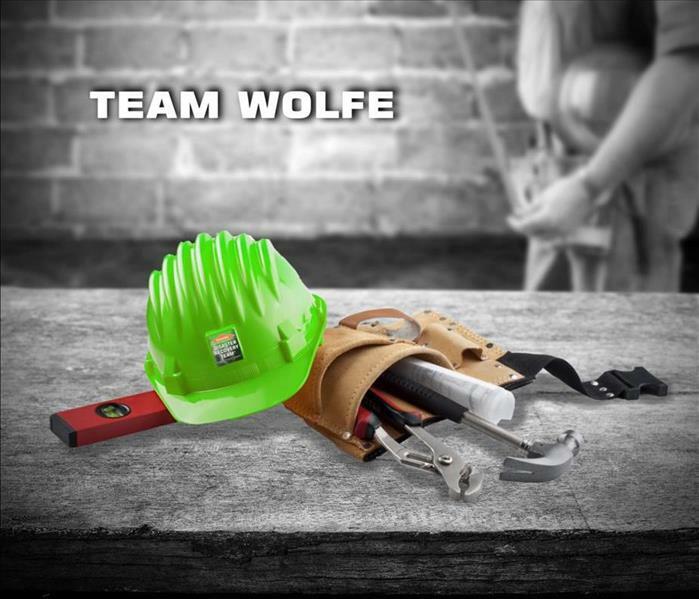 If you are in need of securing construction services contact SERVPRO of Carbondale-Marion at (618) 998-8828. Along with the above video, featured below is information on the basics you should have to be prepared. Thank you for visiting and call SERVPRO of Carbondale-marion at (618) 998-8828 for more tips or information on how to prepare you home or business with an Emergency Ready Plan. Each year, the Red Cross responds to nearly 64,000 disasters, the vast majority of which are home fires. So we set a goal to reduce fire-related deaths and injuries in the US by 25%. Every day, seven people die in home fires, most in homes that lack working smoke alarms. Sadly, children and the elderly disproportionately lose their lives. The American Red Cross wants to improve the odds and save lives- that’s why we launched our Home Fire Campaign. In just three years, our home visits have accomplished so much, including the installation of more than 1 million smoke alarms and preparing more than 1 million people against home fires. 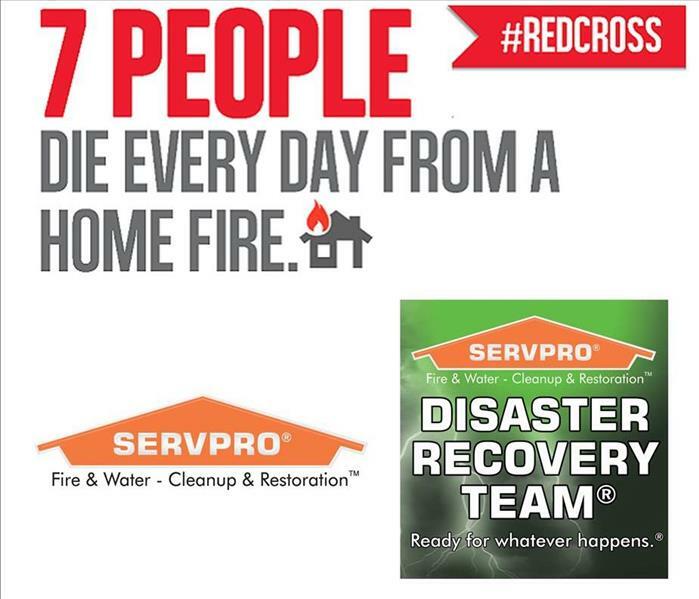 Join SERVPRO and the Red Cross April 28 through May 13 on a Sound the Alarm home visit in your community, where teams of volunteers will be installing 100,000 free smoke alarms in more than 100 cities across the U.S. Together, we can save lives! 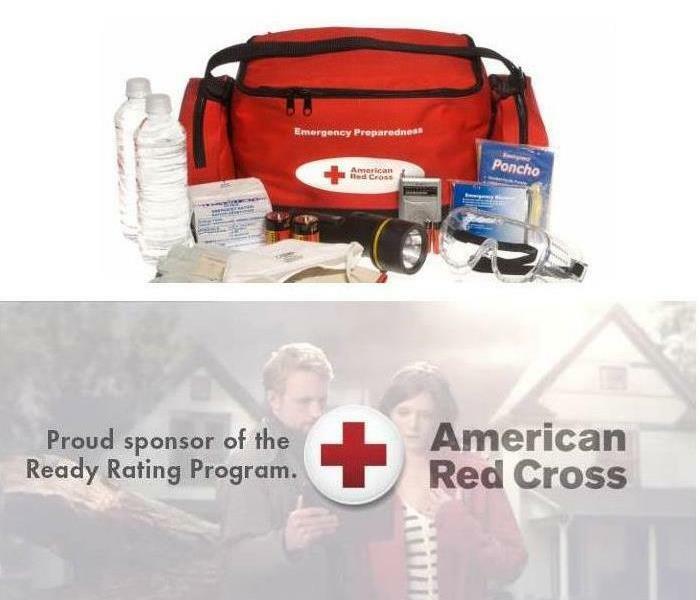 Check out www.redcross.org/sound-the-alarm for more information and how to help in YOUR community!! Indoor air quality/environmental professionals evaluate the quality of the air inside a structure. Some specialize and are skilled in testing buildings for the presence of molds. Using various testing devices, these professionals collect air and surface samples to compare the indoor mold spore count to the outdoor environment. 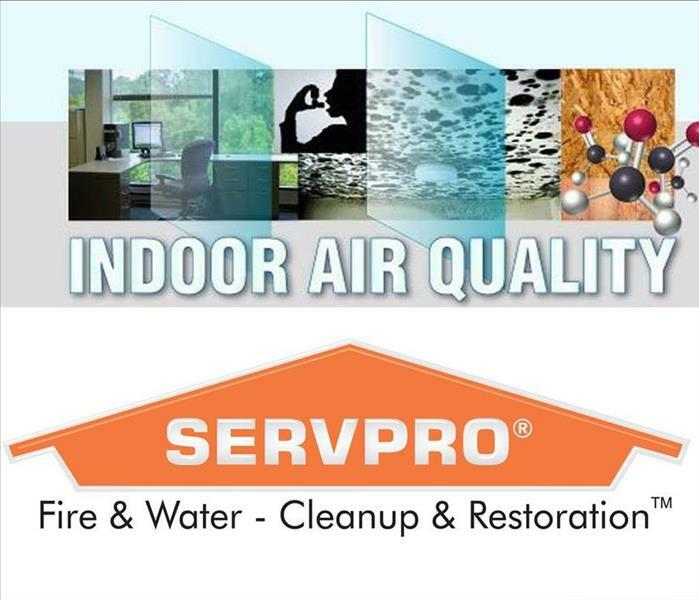 If you have concerns about mold, SERVPRO of Carbondale-Marion can assist you in locating a qualified indoor air quality/environmental professional. SERVPRO of Carbondale-Marion cares about proper restoration of your structure. In most water damage situations excessive mold growth is not a problem and SERVPRO of Carbondale-marion can safely restore your building to preloss condition. The need to address the presence of mold can be determined by an on-site, indoor environmental inspection. Please keep in mind SERVPRO of Carbondale-Marion does not interpret insurance policies or coverage; you must consult your insurance company to determine the scope of policy coverage. 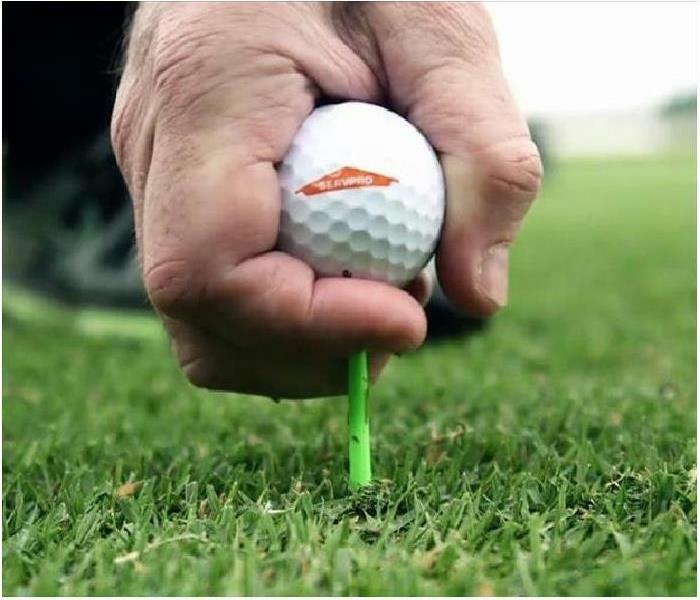 4/2/2019 - SERVPRO Carbondale-Marion Annual Golf Scramble!